I arrived in Southeast Asia for the first time in 2003 as an aspiring development economist, about to start an internship at IRRI (International Rice Research Institute) in the Philippines to study the profitability of rice-farming and the possibility of applying microfinance loans to farmers. Last year when I left Southeast Asia, I was a Ph.D. student in Cinema Studies at Stockholm University, giving guest lectures in several Southeast Asian countries on the history of early cinema in the region and teaching courses on film history and archival research methodology at De La Salle University Manila. This is a story on how to write and recreate history by using archival research; in re-creating a past, when the past seems to be gone. In my three research trips to Southeast Asia, each covering a period of around six months, I have consulted national and university libraries and archives as well as private collections in the Philippines, Malaysia, Indonesia, Singapore, Thailand, Vietnam, Cambodia and Laos. Going from one national film archive (if there is one) to the next, and asking to see their early films, gives interesting insights as one receives everything from European films made in the late 1890s, co-productions from the 1930s, local films with an English voice-over from the 1950s, and a list of films made in the 1970s. My first foray into Southeast Asian film research was my work on José Nepomuceno, who was the first Southeast Asian film director and who formed his Malayan Movies in 1917 in the Philippines. None of Nepomuceno’s films have survived (there is a recent discovery by film historian Teddy Co that might be a Nepomuceno production), so when I embarked on this research journey I was met with encouragement, but also confusion as to why I wanted to do this and comments that I wasted my time. I wanted to recreate the context in which the films were produced, and understand what impact the films had at the time. 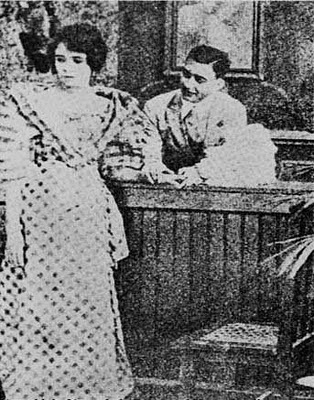 By examining and assessing production stills, film scripts, statements from film crews, novels and plays on which the films were based, newspaper articles, reviews and advertisements, as well as investigating who saw the movies and where they were shown, one can gradually reconfigure a part of Filipino cultural history. He was also an accredited correspondent of Pathé and Paramount News, and his newsreels were shown abroad. He continued directing and producing movies until the end of his life, and died at the age of 66 on 1 December 1959, and his son Luis Nepomuceno thereafter continued the company, which was then called Nepomuceno Productions. In many ways Nepomuceno was more influential than other artists since his films were viewed by people from all social strata across the Islands, and because he adapted important Filipino novels, poems and plays for the screen. The Filipino film industry, in essence, a Tagalog industry, contributed greatly to the spread of Tagalog language and culture, and in so doing, the formation of a national Filipino identity. 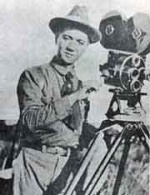 The current research on the history of cinema in Southeast Asia usually focuses on the domestic film production that started in the 1920s or 1930s in most countries. The first two or three decades of film exhibition and distribution are often covered in a few introductory pages (with the exception of the Philippines and Thailand). Yet cinema at first was not a national concern, but part of a transnational network of entertainment, and Southeast Asia was the hub that connected the markets of China, India and Australia. The distribution and exhibition of film in Southeast Asia can thus be seen as an imperial cultural battleground where French, British and American cinematographs, biographs, vitascopes, projectoscopes, bioscopes etc. fought for supremacy and profit. In the late 1800s the Ripograph, Giant Cinematograph, Scenimatograph, Parisian Cinematograph, Talbot’s Cinematograph, Edison's Vitascope, Edison’s Projectoscope, Kinematograph and American Biograph all exhibited films in Southeast Asia. Advertisements tried to distinguish their apparatus from the others: ‘The Biograph is the Biograph. It is not The Cinematograph, the Vitroscope, the Bioscope, the Biogen, the Warograph, or any other “Scope” or “Graph”.’ And depending on which cinematic device was established first, we call the cinematic experience different things in different countries (cinema, kino, bioscoop, biograf etc). The first years of the 1900s saw a rapid increase in traveling film exhibitors in the region. There were more than thirty traveling companies and entrepreneurs from all over the world touring Southeast Asia with different cinematographic devices. Of these, eight were of British origin; five were from the United States; and four were French. With the Russo-Japanese War 1904-1905, Japan also became a notable world power, which was mirrored in their effort in the cinema industry. The Japanese Cinematograph started exhibiting film throughout Southeast Asia during those years. In this context it is interesting to note the variety of ways the cinematograph was introduced to the Southeast Asian public. In Singapore, for a supposedly sophisticated audience at the refined Adelphi Hall, where it initially was advertised as the greatest invention of the nineteenth century and by mentioning that it was brought directly from Paris at a cost of over $10,000. On Java it was exhibited in tents as part of a mass entertainment with the popular Harmston Circus. In Manila, as a private screening on Escolta it targeted the wealthier business community. In Bangkok, it was part of a magician’s show, and it was also screened for one night as a private arrangement at the Thai Royal Palace. When we grow up, we all want to be part of contributing to the world and creating history. I never thought that I would end up literally writing and recreating history, albeit in a narrow field. And as a Swedish national with Persian background I never thought I would contribute to the writing of the cultural history of Southeast Asia. Nadi Tofighian is a doctoral candidate in the Department of Media Studies, Stockholm University. His forthcoming dissertation examines the pre-1910 history of cinema and amusements in Southeast Asia, and traces its distribution patterns.